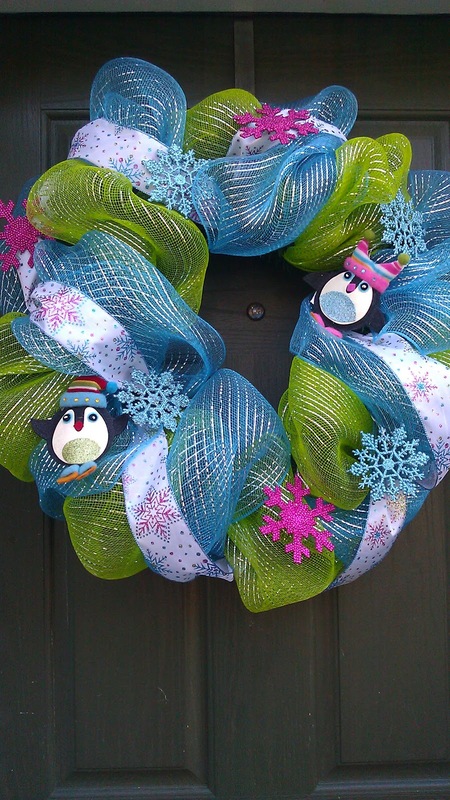 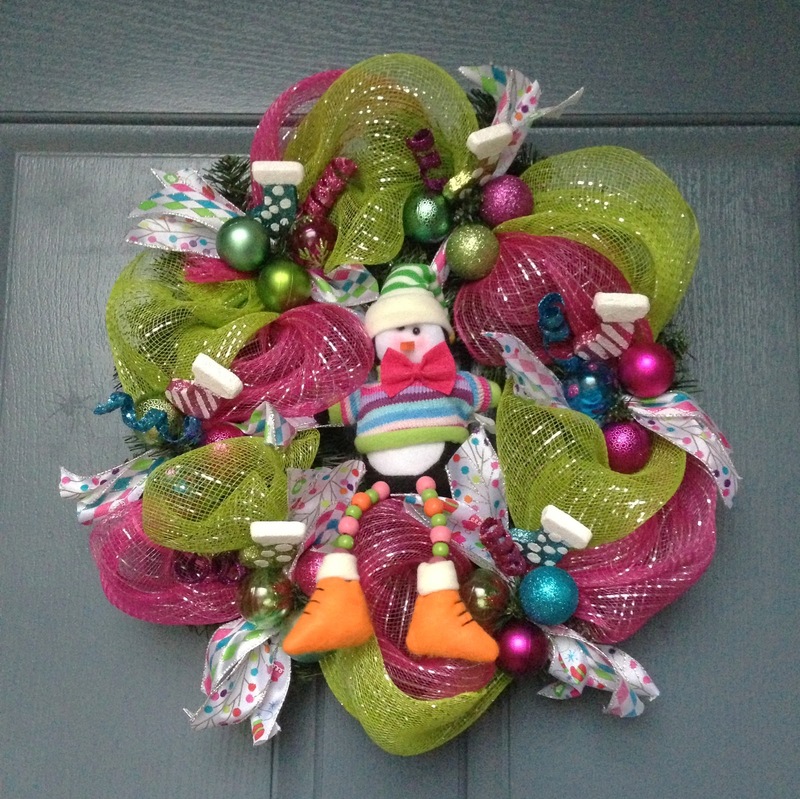 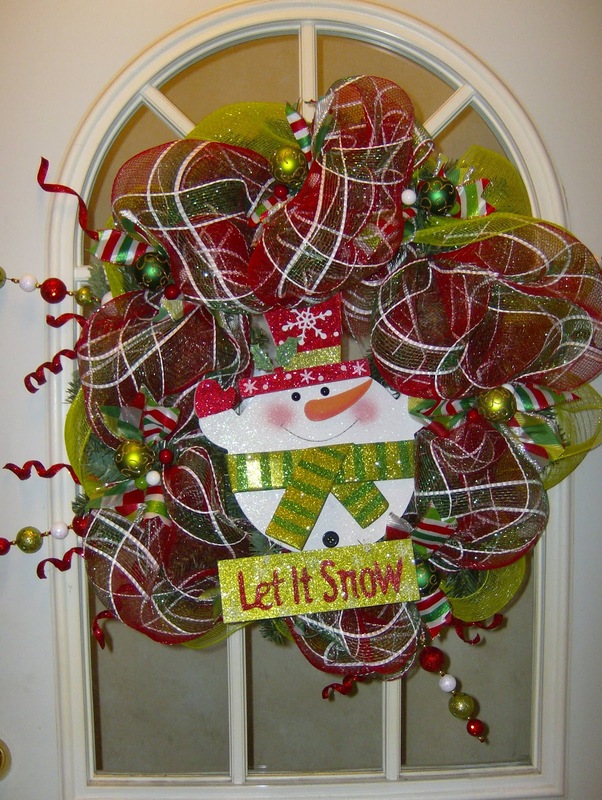 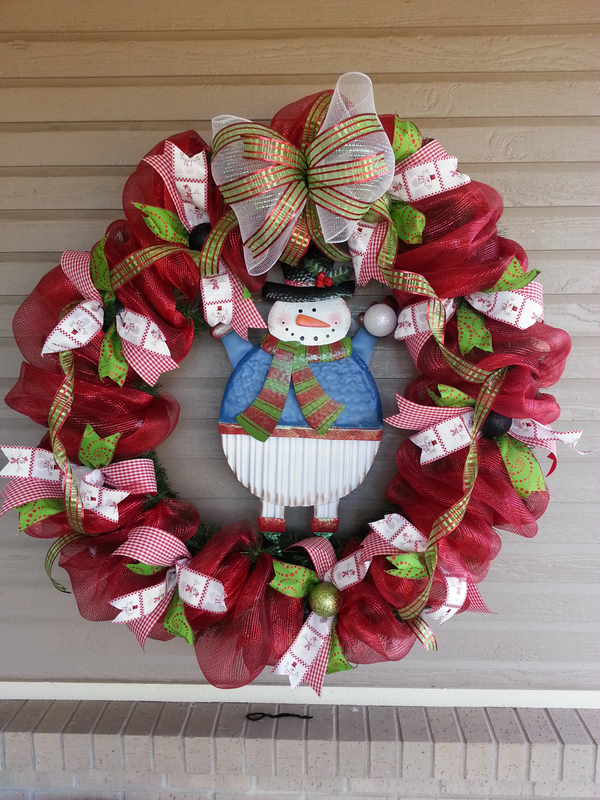 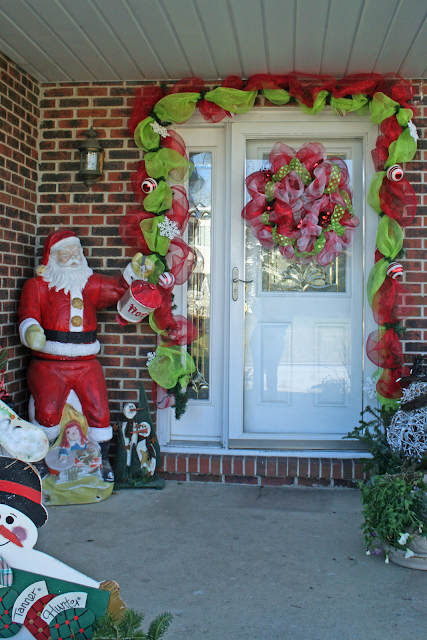 You might remember my snowman mesh wreath tutorial from last year. 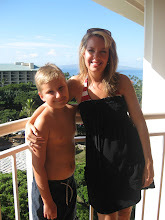 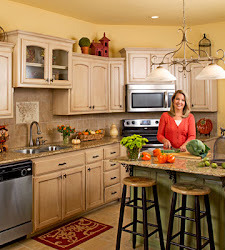 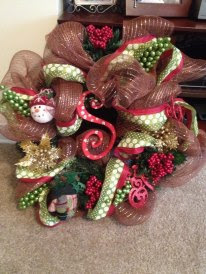 It has been a very popular post and is getting several thousand views a day from Pinterest and Google. 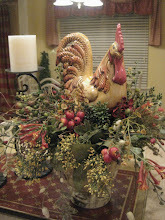 In fact, it is my all time most popular post ever! 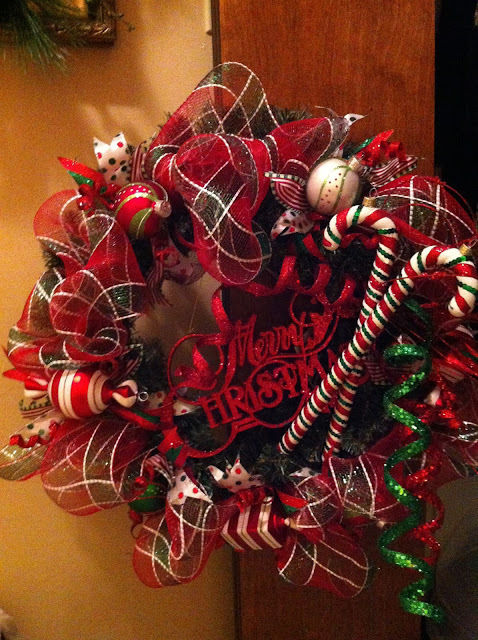 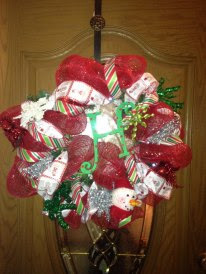 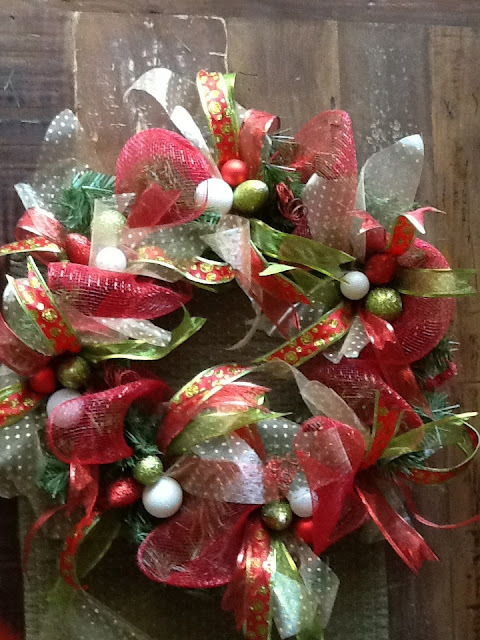 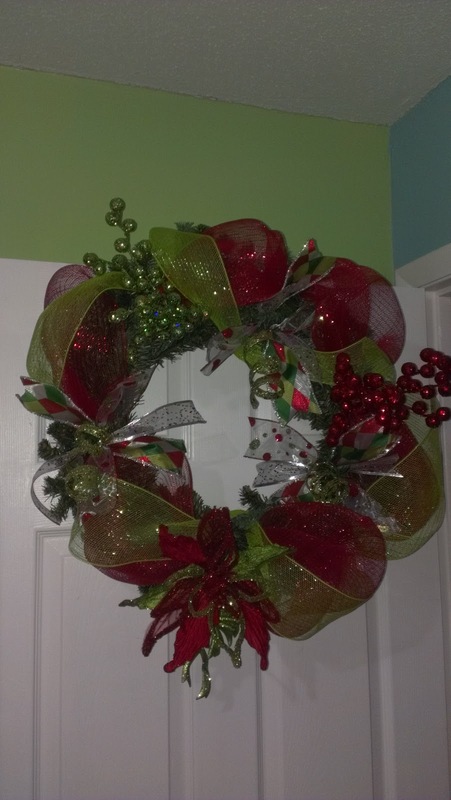 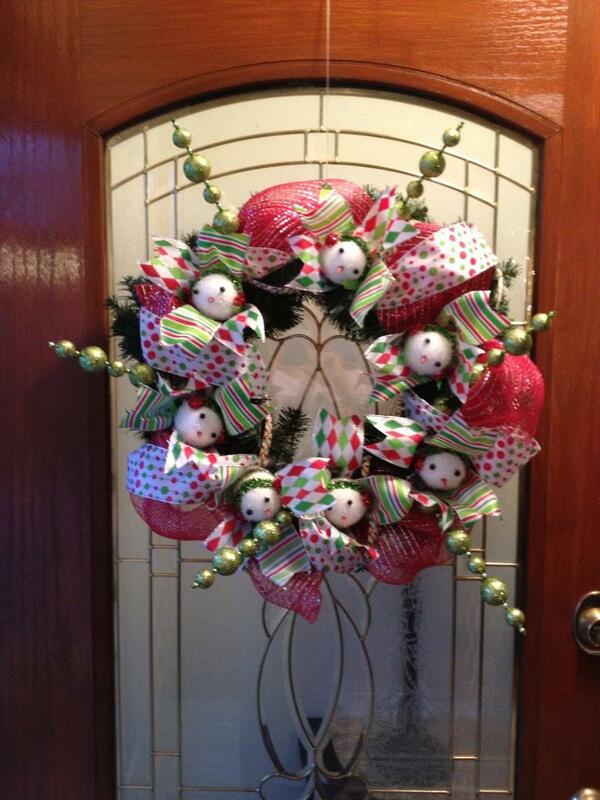 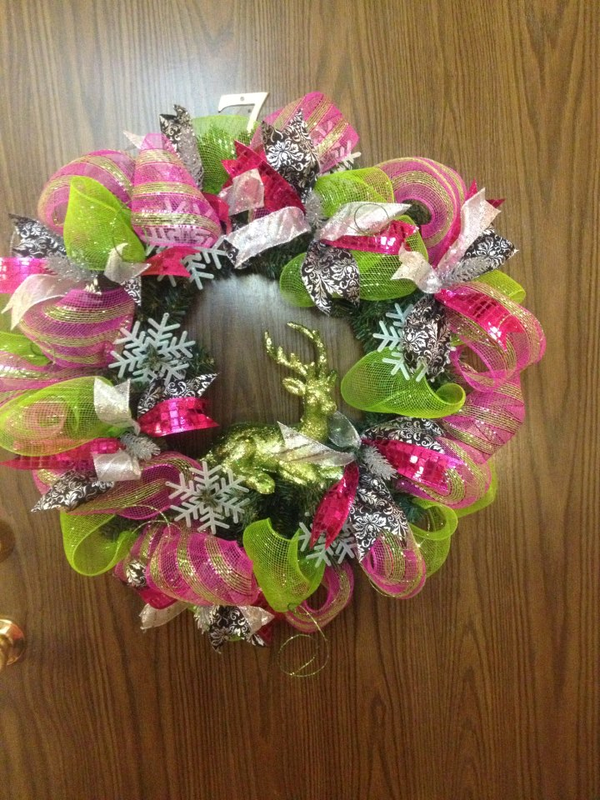 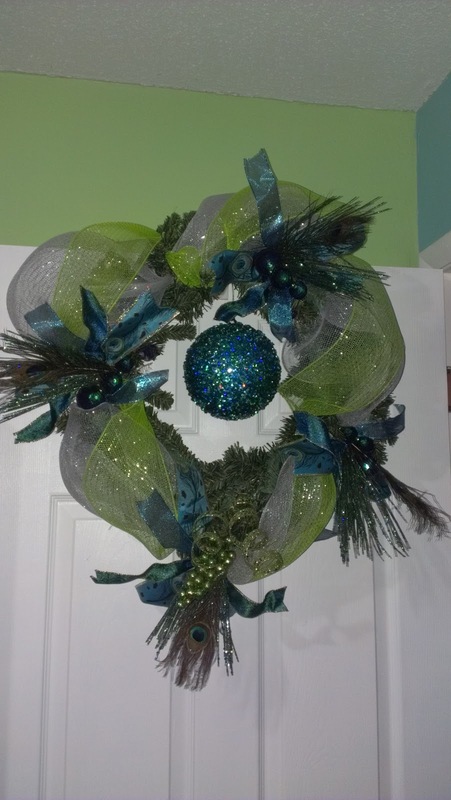 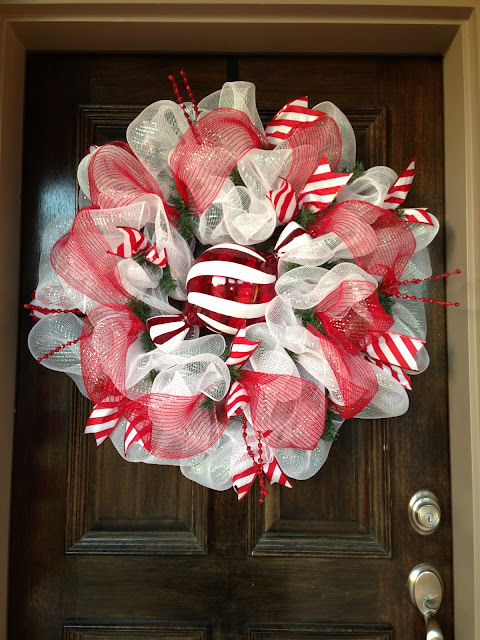 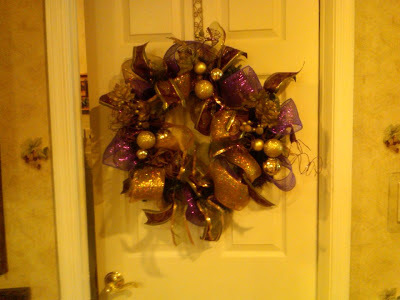 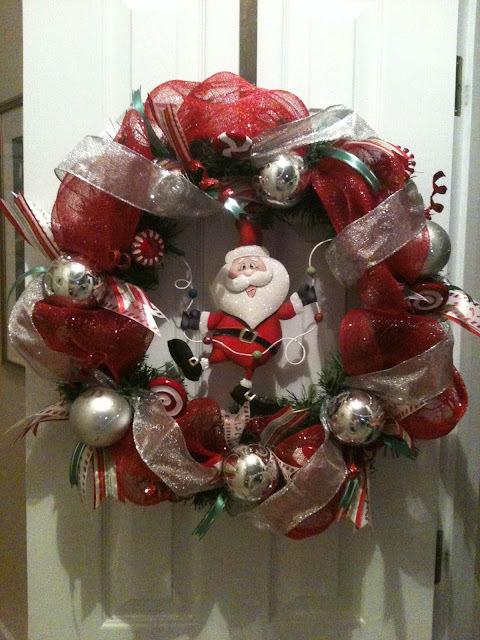 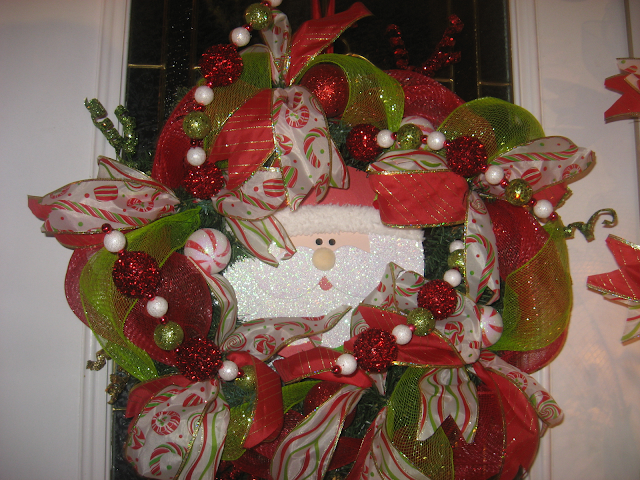 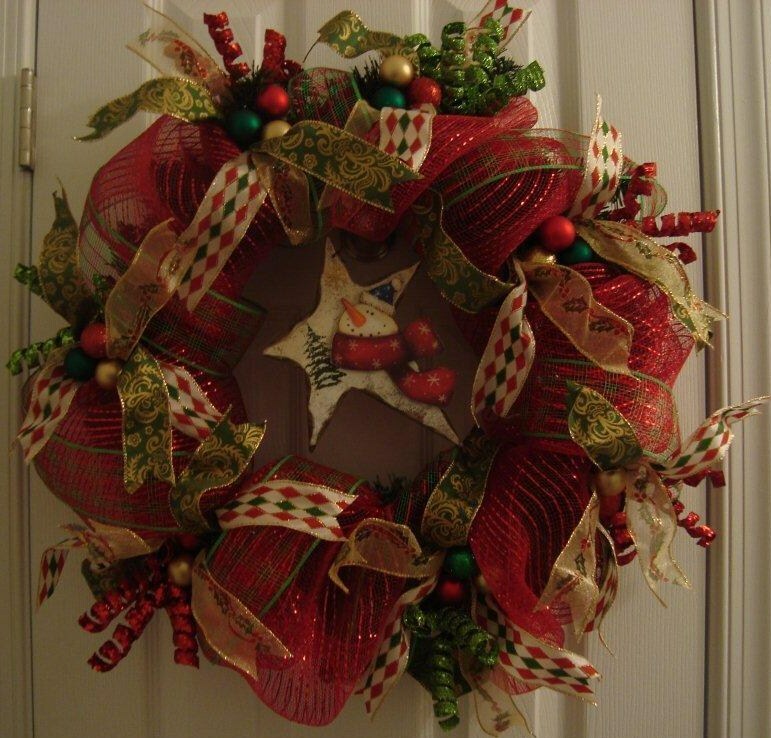 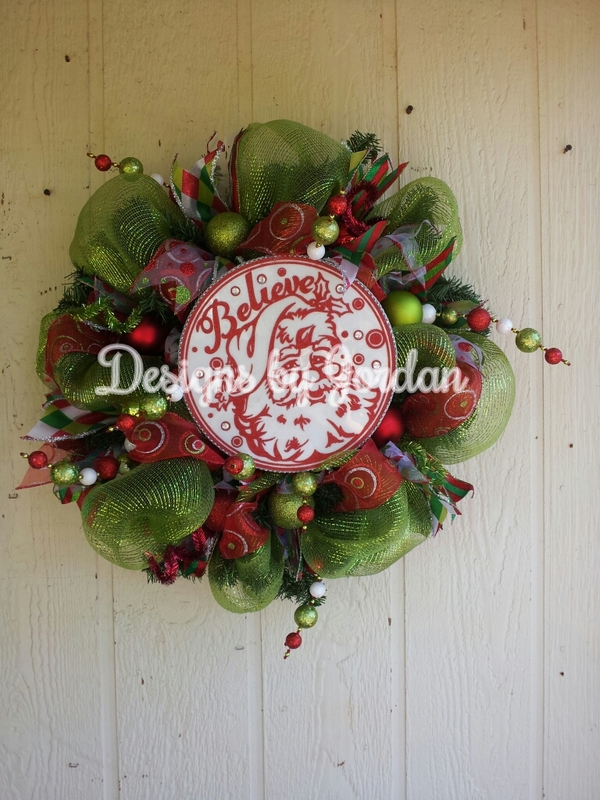 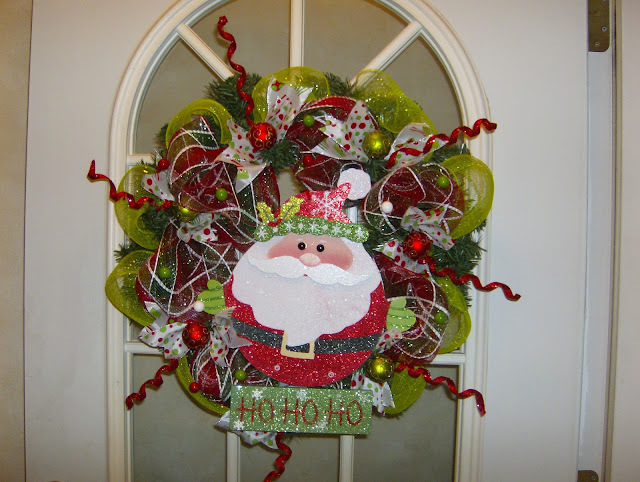 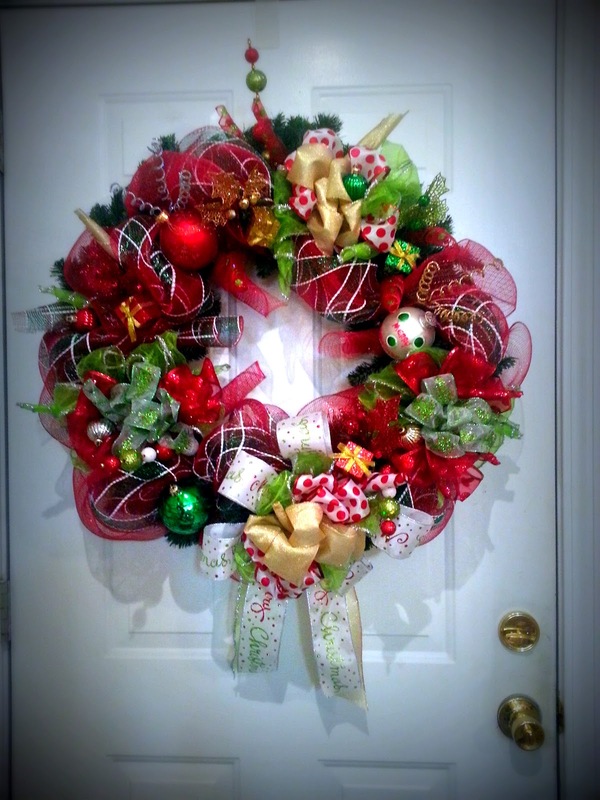 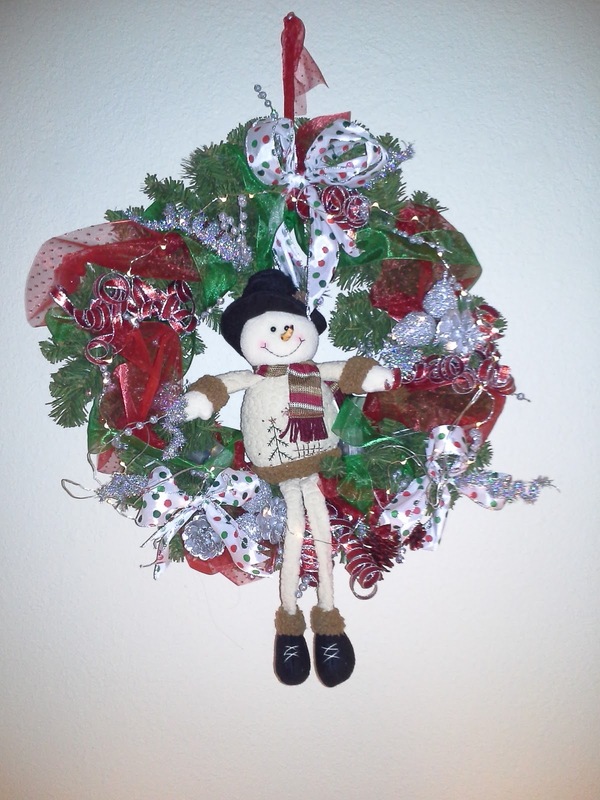 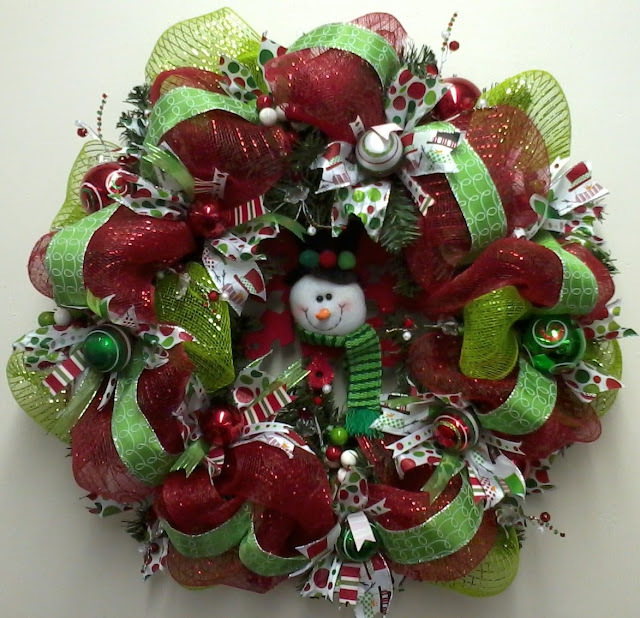 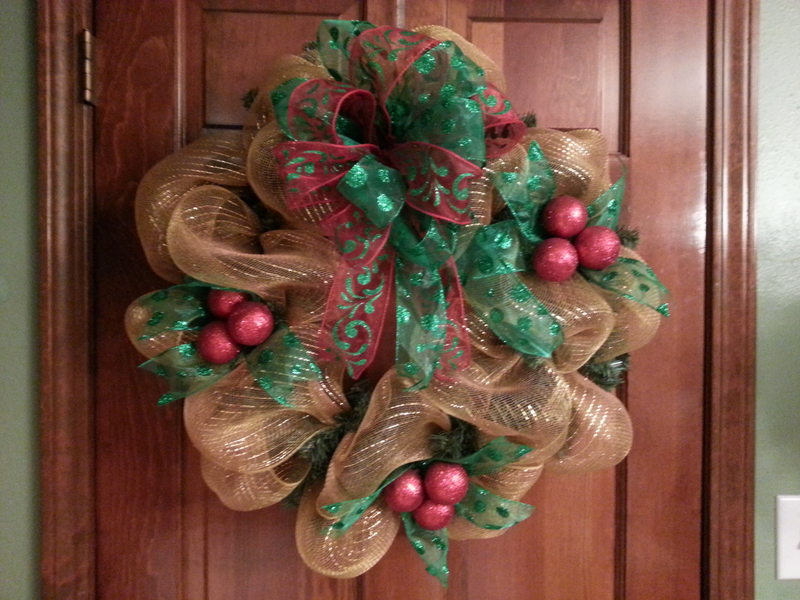 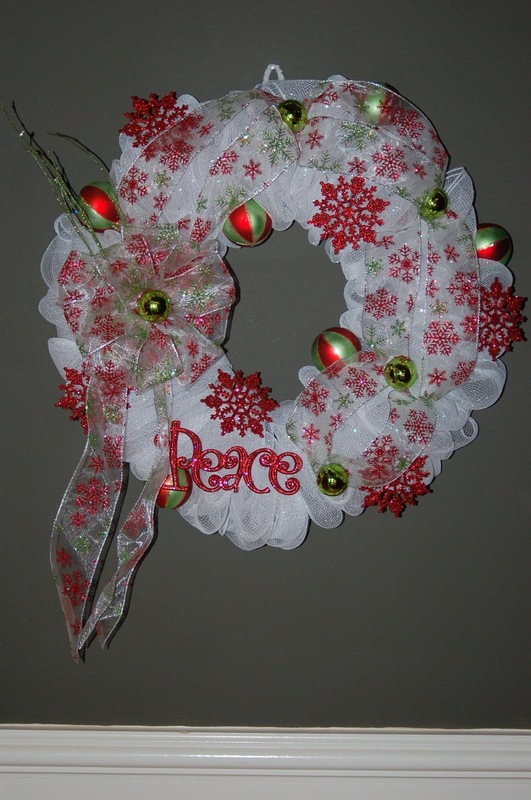 I am always getting e-mails of pictures of wreaths some of you have made and I love looking at them. You guys have done an outstanding job! 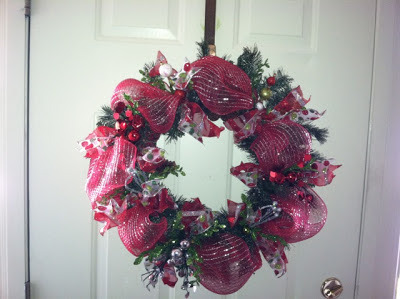 I thought it would be fun to post the Christmas ones here on my blog like I did last year. 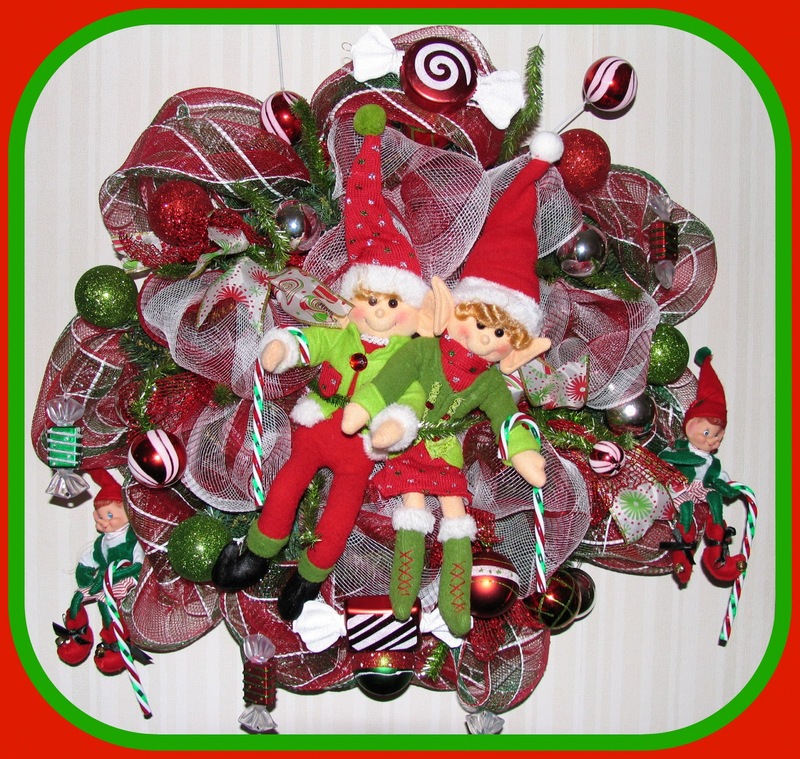 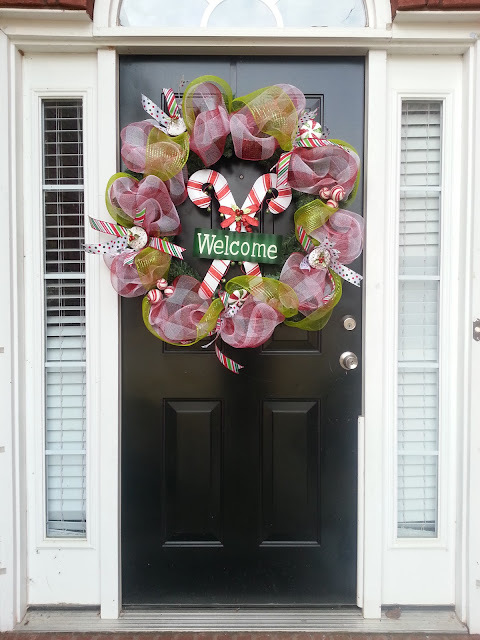 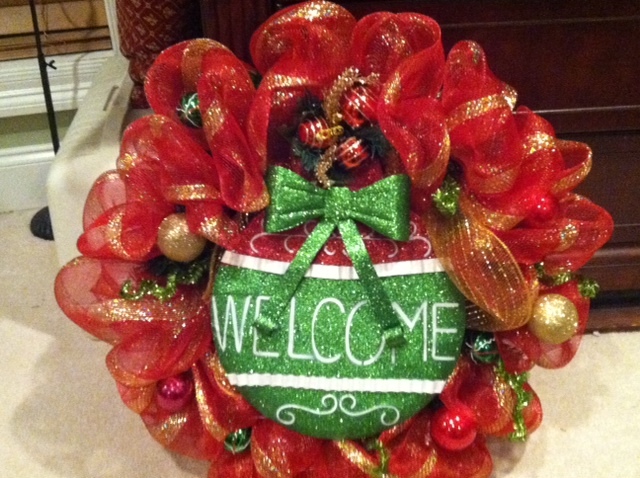 There are alot of different takes on this wreath and that shows how creative you all are! 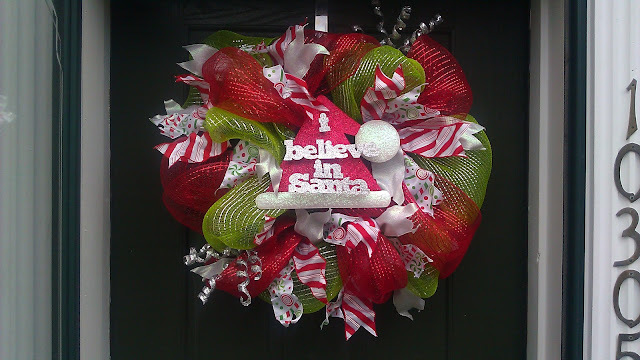 Each one is unique and very creative. 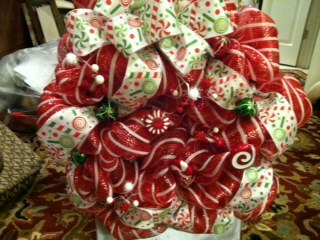 I hope you enjoyed looking at all of the creativity!! 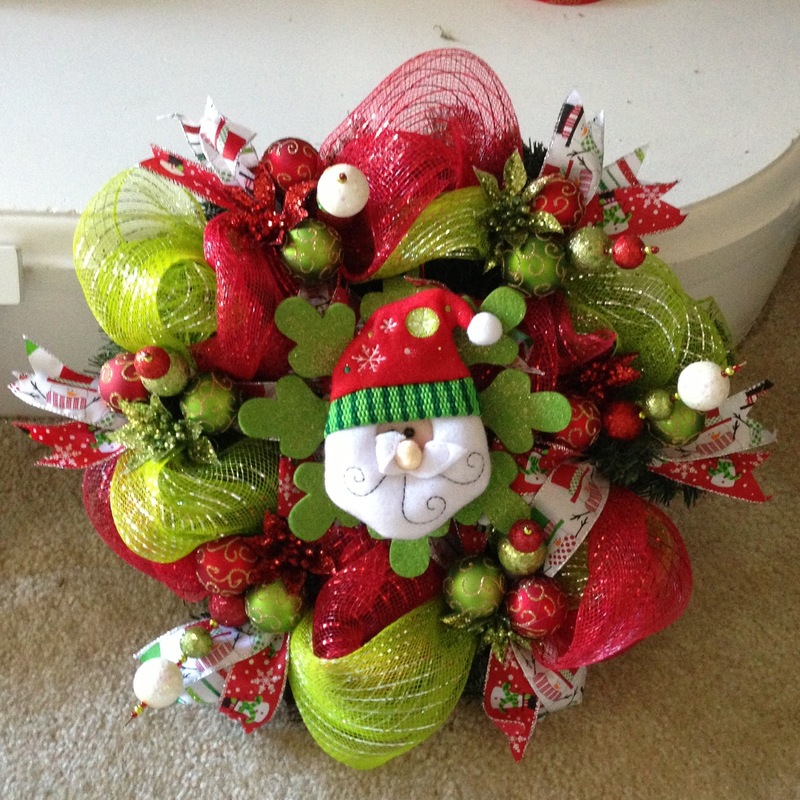 Each wreath is unique and that's what makes them special. 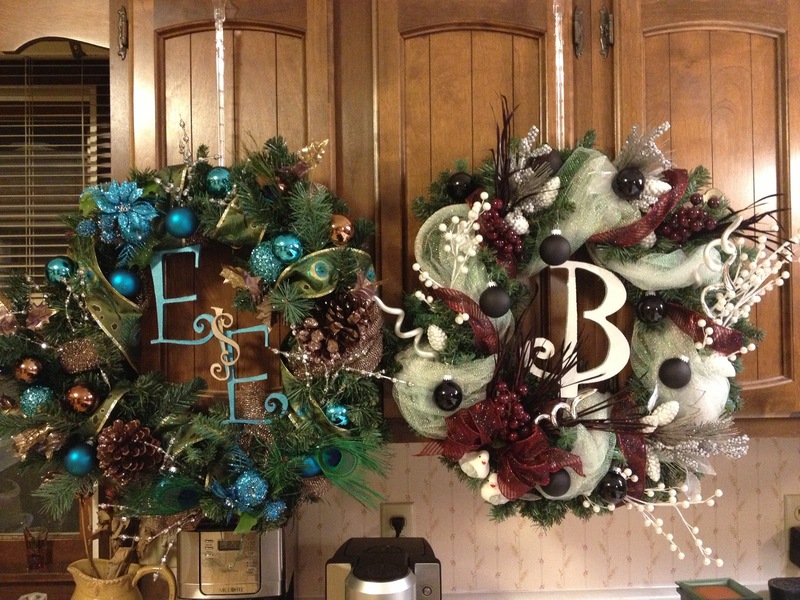 Thanks to those of you who sent me pictures! 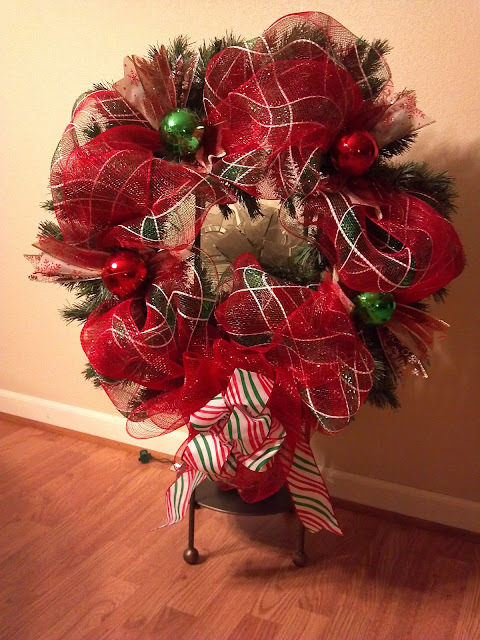 If you would like your wreath here on my post you can still send a picture to Kristenscreations@hotmail.com and I will add it on.